This chapter characterizes a family of subgroup decomposable unit consistent multidimensional poverty indices. Unit consistency requires that poverty rankings should remain unaltered when dimensions are expressed in different measurement units. The characterized family is a simple generalization of a family of unit consistent income poverty index suggested by Zheng (2007b). The paper also illustrates the index numerically using Turkish data. 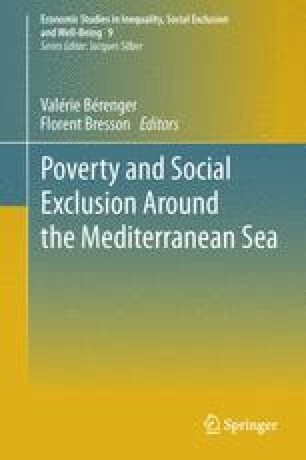 This paper was prepared for the workshop on Multidimensional Poverty and Pro-poor Growth in the MENA Countries, Nice, June 11–12, 2009. We thank participants for suggestions and the organizers, Valérie Bérenger and Florent Bresson for comments and for providing the dataset.